A starfish gift is the perfect gift when you want to say you make a difference to me. I love this poem (although if you would rather not have the poem, I can put it on a plain card). One Day a man was walking along the beach when he noticed a boy picking up things and throwing them into the ocean. Approaching the boy, the man asked "What are you doing?" The boy replied "Throwing starfish back into the ocean. The surf is up and the tide is going out. If I don't throw them back, they'll die". 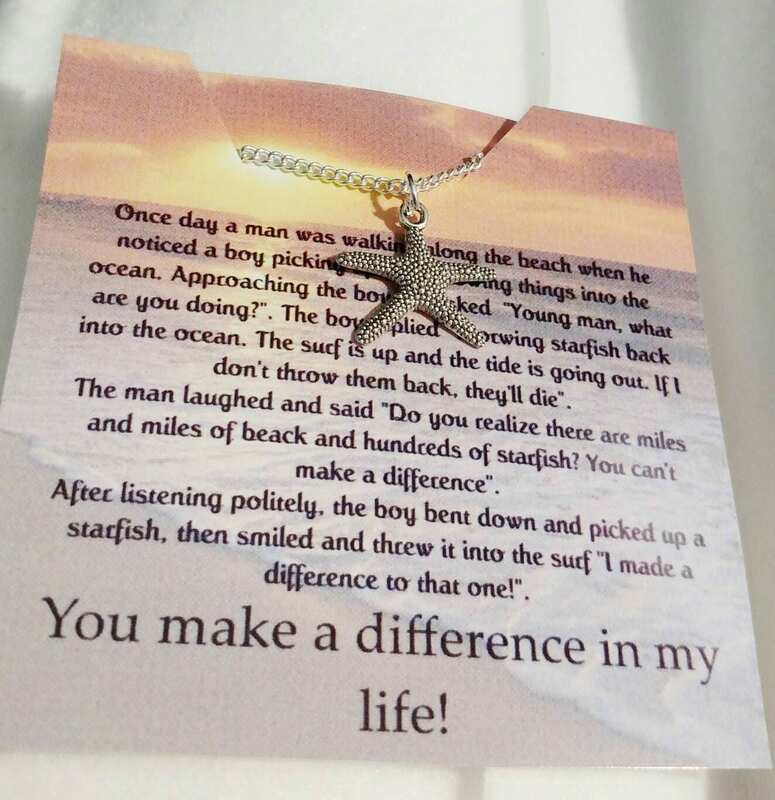 The man laughed and said "Do you realize these are miles of beach and hundreds of starfish? 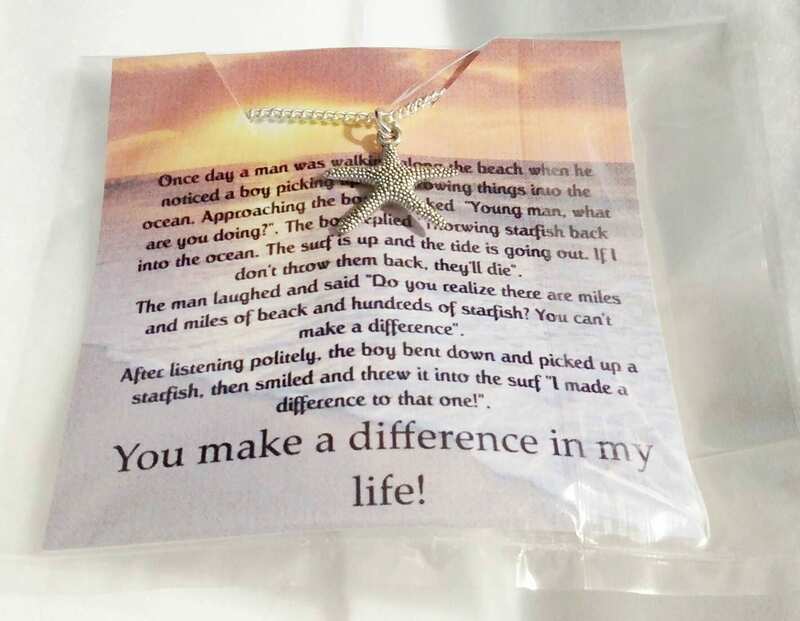 You can't make a difference"
After listening politely, the boy bent down and picked up another starfish and threw it into the ocean "I made a difference to that one!" To that extra special person that makes a huge difference in your life, this is the perfect gift. 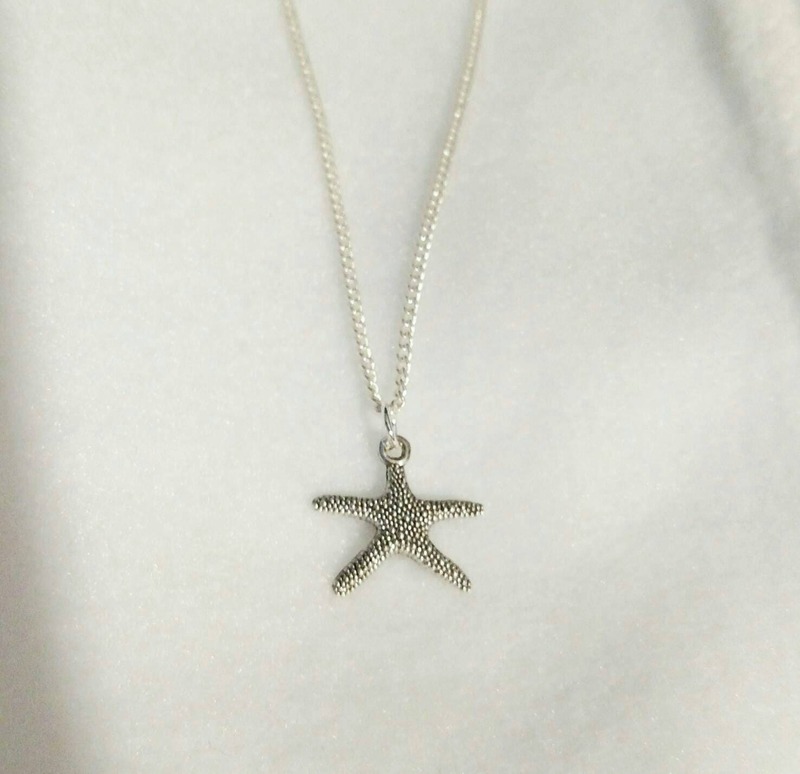 Sterling coated 18 inch chain.